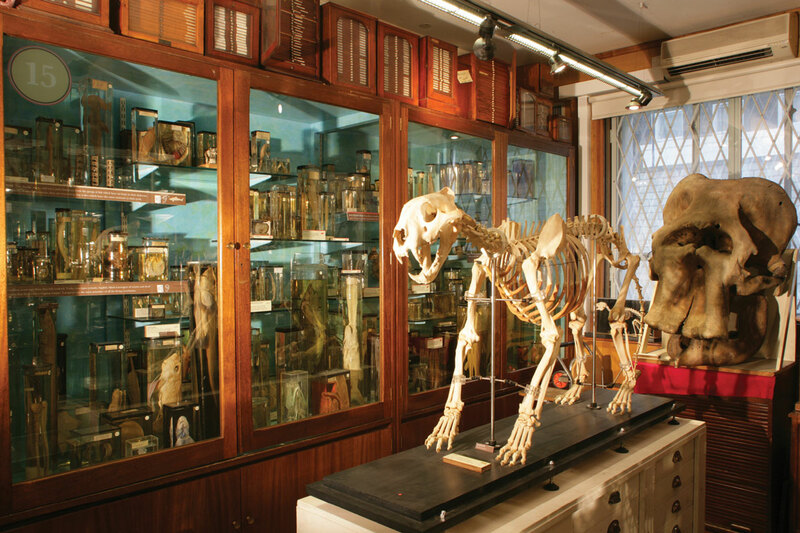 The Grant Museum of Zoology is the only remaining university zoological museum in London. It houses around 68,000 specimens, covering the whole Animal Kingdom. Founded in 1828 as a teaching collection, the Museum is packed full of skeletons, mounted animals and specimens preserved in fluid.